Looking for a brief primer on Overwatch ranks and what each ranking means? Despite bearing similarities to other shooters, Overwatch’s ranking system works in a slightly different way to the ones you might be familiar with. 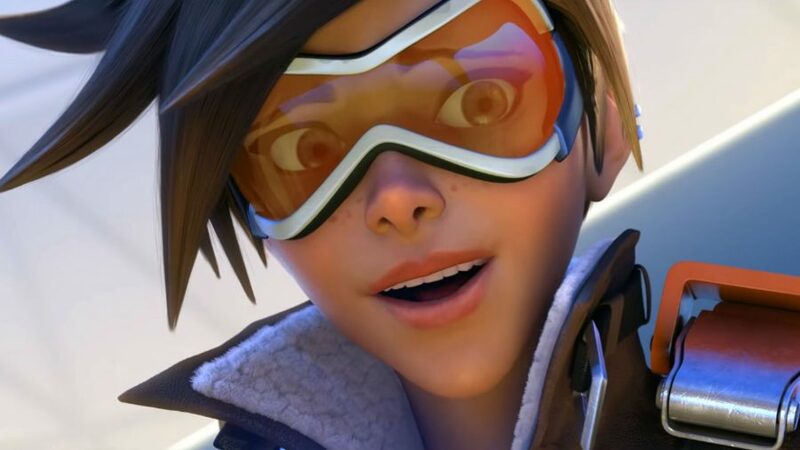 If you want to mess with the best and increase your Overwatch rank, first you’ll need to know a bit about the game’s matchmaking and competitive side. Competitive Overwatch takes no prisoners, and earning a high Skill Rating (SR) takes patience, skill, and a whole lot of game sense. Overwatch’s ranking system isn’t quite as stretched out as other online games, but that just makes jumping from one tier to another even more difficult. Ranks increase at increments of 500, starting at 1,500 for the lowest tier (Bronze). 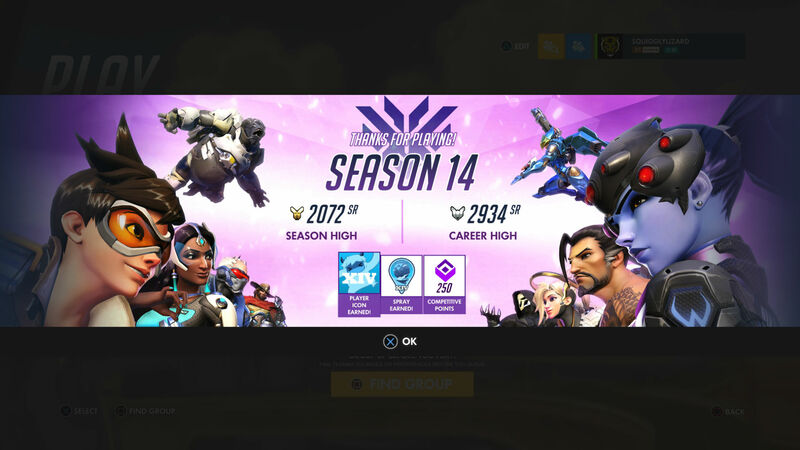 It can be tough to rank up in Overwatch, as you’ll only get about 20-25 SR per win; that’s why we’ve written a guide on the ins and outs of the ranking system for you. It may seem like a longshot, but bear with us and you’ll be climbing that competitive ladder like it’s nobody’s business. Although the post is from 2018, it serves as the base that distribution stats consistently form around. Bronze is the lowest tier, usually filled with players who are new to the game, whereas Grandmaster is home to Overwatch’s elite. As you can see, three-quarters of the player base tend to hang around between Silver and Platinum, with Gold housing the most players in any individual bracket. This is the most casual area of Overwatch, where teamplay is definitely possible, but not always the rule. If you haven’t been ranked in Overwatch yet, there are some prerequisites you’ll need to meet before diving into Competitive. First of all, you’ll have to reach Level 25 by playing Quick Play or Arcade. These are the most casual modes in Overwatch, which are based more on playing for fun than winning. The reason you need to do this is because Overwatch has an ever-expanding roster featuring a plethora of heroes with all kinds of abilities. If you were dropped straight into Competitive, you wouldn’t be able to tell a Meteor Strike from a Graviton Surge, so this is just practice, a way of earning your stripes before entering the fray. Once you hit Level 25, that purple Competitive option will be available for you to select at the “Play” menu. You’ll have 10 placement matches, which will ultimately determine what your starting rank is. Most people land in Silver/Gold territory. Just remember that Overwatch’s matchmaking system is more tied to wins and losses than kills and deaths, so you should prioritize being a team player if you want to rank highly. 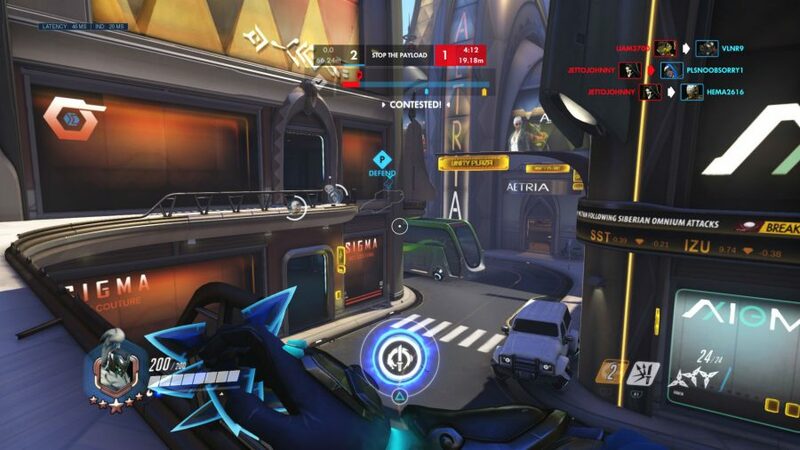 Each rank in Overwatch has its own distinctive type of play. In Bronze and Silver, you’ll mostly encounter players who play their favourite heroes. This is the most casual tier of Competitive play, after all. Once you hit Gold though, you’ll meet a vast array of people. Some players in Gold are aiming for the big leagues, whereas others might have just started out or been recently promoted from Silver. Either way, you’ll come across some people who want to play a lone wolf kind of game, while others are more interested in forming a viable team composition. In Gold, you’ll see players who have ‘mains,’ meaning that they play the same hero most of the time in order to become especially competent at performing that individual hero’s role. Platinum is where microphones start to play a major factor. People here have gotten out of the bottom 50%, so reaching the >15% of Diamond and above starts to seem like a tangible goal. Here, you’ll see people strategizing based on maps, game modes, and enemy team compositions. Players will save their Ultimate abilities, waiting to combine them with those of their teammates, and will know exactly when to join a fight and – more importantly – when to back down. Diamond houses about 10% of Overwatch’s player base at any given time. It’s a big upgrade from Platinum, as Platinum is still adjacent to Gold in the ranking system. Once you reach Diamond, you’ll rarely come across players who don’t use their microphone, text chat, or the command wheel. Here, teams who don’t work together will inevitably lose, plummeting back down the ladder to Platinum. Masters is the first tier of Overwatch that’s within semi-pro, or even professional territory. Everyone here has a whole lot of game sense and the mechanics to back it up. Most players in Masters will have already chosen a main hero, or at least a main class (between support, damage, and tank), and they’ll rarely flex outside of that pool. Grandmaster is the top 1% and is home to Overwatch’s elite. In Grandmaster, you’ll play alongside Overwatch League stars and the biggest Twitch streamers in the world. This is the upper echelon of competitive Overwatch. As mentioned above, the only way to rank up in Overwatch is to win. 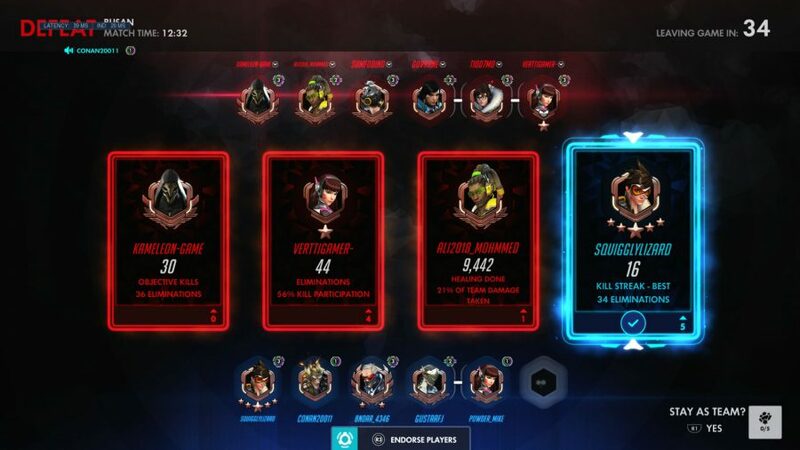 You could finish a match with five gold medals, but if your team doesn’t win you’ll still lose SR. As a result, it’s best to group up with friends or recent players. This way you can strategize and play as a team, instead of being matched with players who want to do their own thing. If you haven’t got anyone to play with, or the people you usually play with aren’t online, you can use the ‘look for group’ function shown on the ‘Play’ menu. This will allow you to choose the role you want to play and match you with players who synergize with that. You can even specify if you want the other players to have microphones. Just remember; if you’re playing as a group, you’ll be matched with groups. So although you have the ability to pull off some major plays with your group, the enemy team will likely be in cahoots, too. Overall, this makes for a more fun, team-based Overwatch. Even when you lose, it’s a little less sour when you go down as a team. And if you win? Well, then you’ll gain SR and be one step closer to that coveted Grandmaster emblem.